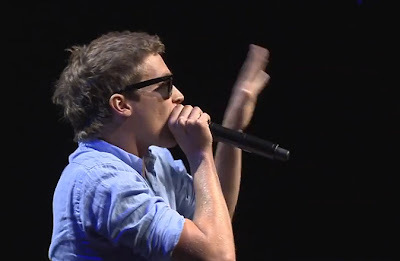 A world champion beatboxer, Tom Thum, took his impressive talent to the Ted Talks in Sydney and blew away the crowd with his performance. The former graffiti artist and b-boy from Brisbane talked about how he’s able to use his phone as the ultimate instrument. In the video, Thum pushes the limits of the human voice to create incredible soundtracks of impossible beats and phenomenal sounds, with scratched vinyl, the Michael Jackson back-catalogue, the didgeridoo and an entire fifties jazz band amongst his vocal repertoire.